, this applet uses units of RADIANS. The ORANGE POINT = THE POINT YOU'RE PLOTTING. How can we describe what each of the 3 coordinates tells us? (Explain as best you can in your own words). To explore this within Augmented Reality, see the directions below the first screencast.
. The slider c controls z. 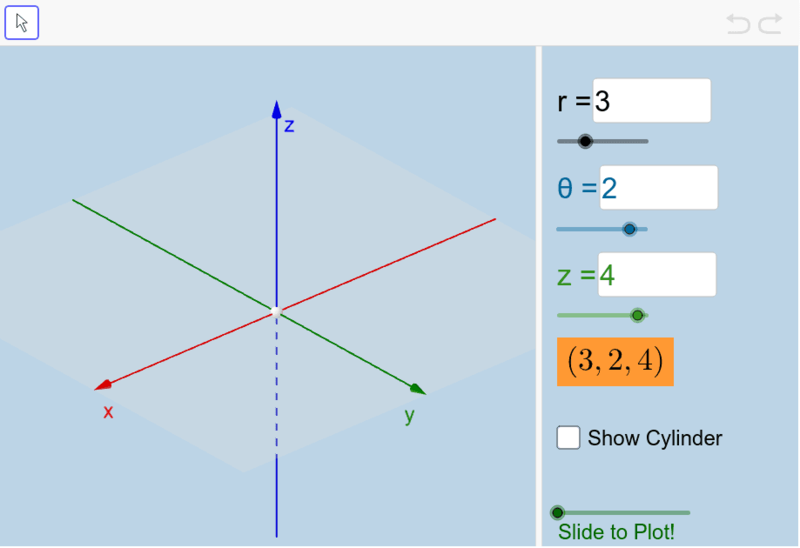 The e slider dynamically plots the point. If you want to see the cylinder in AR, change the line j = false to j = true The filling slider controls the shading of this cylinder.